It’s no secret that journalists working for Xinhua, Global Times, and People’s Daily, are part of an effort to distribute messages from the Party. I read these sources daily, and have built up a degree of tolerance to articles about how America wants to separate Taiwan from the mainland (example), that China’s presence in Africa is always beneficial to Africans (examples 1, 2, 3), and the seemingly weekly calls for the Party to serve the people (Example). Let’s just say that my expectations for Chinese journalists in these publications is pretty darn low, yet from time to time, they still manage to surprise me with their total lack of concern when it comes to exposing the truth. Yesterday’s post is a prime example. Not only did these officials take credit for a fairly implausible project, but Xinhua gleefully reported it without an ounce of fact checking. It took me less than 5 minutes on Google to find that the school was not yet open due to a lack of funding. This in itself is troubling, but again for Chinese media, I set the bar fairly low. It’s likely that they were presented with a story that portrayed China as a global leader in education and as meeting goals set in the last five-year plan, and were overly eager to get it printed. Equally troubling is the quote from the girl who said Guangdong Experimental High School students were already at the top of her class, which is strange considering that there is no program. This shows quite clearly that Chinese journalists freely make up quotes (and occasionally entire stories) to meet their needs, and promote specific views. Ultimately the result of this kind of story (if left unexposed) is that Guangdong Experimental High School and China get a boost to their reputation, and a few more parents send their children to questionable programs. While this is embarrassing for everyone involved, the damage is not very widespread. That however is not the case with this inexcusable piece that appeared in the Global Times this week. The story reported that a foreign doctor had recommended people take precautions when heading outside due to very heavy air pollution, but insisted no action was actually necessary. However, both Chinese doctors and environmental protection authorities regard his suggestions as unnecessary scaremongering. “The suggestion to wear masks will make trouble out of nothing, as we’ve had polluted air for a long time, and we shouldn’t be living with an American standard,” said an anonymous doctor at the People’s Hospital of Peking University, who specializes in respiratory diseases. Ren Shaokang, a resident living in Huilongguan, Changping district said he would not wear a mask, although he suffers from tracheitis, a disease of the windpipe. 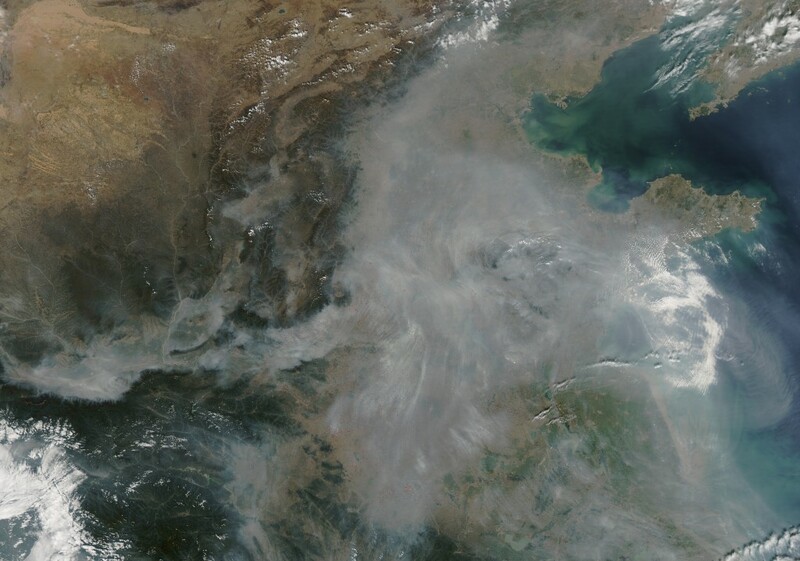 “I believe in the Chinese official data and don’t think the air seriously affects us. Even when we can see the air is bad, white collar workers like us don’t have the time to think about wearing masks anyway,” he said. This kind of deliberate misinformation literally puts tens of millions of people at risk in an effort to save face. Interestingly the word “slight” and the idea that Chinese people shouldn’t expect “American standards” also appeared in the Chinese media after the Shanghai Metro crash. Ironically, People’s Daily published another article, on the same day, that showed a rising risk of cancer in Beijing (over 105 cases are diagnosed each day). This included a 56% increase in lung cancer from 2000-2009, and specifically cited pollution as one of the factors. So despite the claims of one anonymous doctor (in fairness, he may not actually exist), Chinese people have not yet adapted to record setting levels of pollution. China Daily also reported that the air was unhealthy, and said that 95% of the pollution was respirable particles (which irritate the airways, and are connected with asthma, cancer, respiratory infections, and other medical problems). In the hospital where I work, doctors have repeatedly told me stories of desperate patients leaving China in an attempt to help their children suffering with asthma (this is usually effective). Others have told me that the evidence of heavy pollution is clearly visible in cadavers of all ages that have blackish lungs. From personal experience, I know that even the pollution levels found in Nanjing (often less than half of what is seen in Beijing) are enough to leave me feeling miserable. Spreading this propaganda as fact is part of why my Chinese doctors laugh almost every time I cite information from a Chinese news source. The media cares more about maintaining the Party line, than actually reporting useful information. While I have no research to back this up, from conversations I would not be surprised if over half of the population was highly skeptical of what they hear from the media. As Fei Xiaotong said in his book, From the Soil, “For the sake of the party, they would sacrifice the whole nation.” This example of reckless “journalism” helps prove his point. Perhaps it’s time the gov’t issued a proclamation for journalists to serve the people, until then I guess I’ll try to hold my breath. By T in Environment on October 14, 2011 . Living in Beijing, this is an issue very dear to me. I check every day the US Embassy’s air quality index, which measures particles at 2.5 microns, smaller than the official Beijing measuring instruments can pick up. Not sure why Beijing can’t measure at this level but i suspect it is also the reason why the US Embassy reporting site is blocked to mainlanders without vpn. Based on my frequent checking i would say that beijing averages about 170 on the AQI. That would be 170 ppm particles in the air at 2.5 microns. In the US, many cities require “Spare the Air” at 100 or higher, whcih triggers voluntary measures like car pooling, no use of unnecessary combustion engines like lawn mowers and blowers. I would guess BJ hits 300+ probably 10 days or so each month and 500 once or twice a month. The instruments max out at 500 and last Saturday it hit 500 for a couple hours. The Embassy, back in 2008 programmed the instruments to rate anything over 500 as “crazy bad” probably assuming te maximum would not be hit. When the meter started maxing out, the crazy bad rating did not endear them to the Beijing authorities. Anyone suggesting these kinds of levels are not a concern is talking nonsense. It’s of great concern. Just for reference, according to the US standard anything over 15 on the AQI is considered unclean, and over 30 is unhealthy. The Chinese only measure pm10 instead of pm2.5 because this guarantees a lower reading, and masks the how truly awful the air is some days. There is some discussion as to whether or not Twitter was blocked in China partially as a result of the US gov’t AQI readings. I did find it amusing (in a sad, tragic way) that Chinese feel they shouldn’t be held to American standards. Yeah, I can see why they wouldn’t want that. After all, it would mean actual standards that would be adhered to and the possibility that you won’t acquire some disease because the gov’t cares more about maintaining power through whatever means necessary (yes, I used that term deliberately) – even at the expense of the people over whom it claims suzerainty. Last time we visited, in 2004, my daughter who was three and half years old then, started coughing the very next day after we arrived in Beijing and didn’t stop until we left. …..On the other hand though I had never even heard of such a thing as pollen allergy when I lived in China—because they were hardly any flowers! Now I am miserably allergic to pollen but happily grow more than 20 species of flowers in my yard. Flowers in the yard ? That’s another American standard China doesn’t need. This is, of course, to prevent hay fever, which is suffered by many Americans due to the high pollen count in their air. I feel your pain. I have been trying very hard to expose some fantasies perpetrated by the American government. It’s agonizing to be dismissed as a conspiracy freak when you know something is wrong. If you read yesterdays post though, you would know that I then proceeded to contact all of the concerned parties to verify what I had learned online, a very important step. Have at it my friend. Great to have freedom of speech and freedom of the press so that coverups amd mistruths can be exposed by the populace. At least in the US, you won’t risk breaking the law by “spreading a rumor” or exposing a state secret. Really?? Then what happened to Bradley Manning? I bet he is in jail and will be in it for the rest of his life. As an enlisted soldier he was subject to different laws. He transferred classified information, which was illegal. He has more than 20 charges against him, and will likely be in jail for the rest of his life. It’s very hard to say what exactly what would have happened if he were a civilian. Unlike China, we’ve admitted that he has been arrested (Ai Weiwei), and if he were ever released, he would no longer face harassment from the local gov’t (Cheng Guangcheng). The shotgun approach of your website doesn’t really help to make you not look like a crazy person. Manning was caught precisely for the reason stated on my website- Wikileaks is anything but anonymous. It’s a trap. “Shouldn’t be living with an American standard,” classic. Enjoy patriotically chewing your air then, dumbass. Air quality is such a major issue for all of us living in non-rural China. Chinese friends are justifiably worried about it and would consider an article like the one you discuss in The Global Times a complete joke. What most people may not be aware of is that the worst ar-quality days may look relatively clear – it’s the PM2.5 which are highly dangerous as they can pass through alveolar membranes and are linked to increases both in respiratory and cardiac disease. As a doctor I completely agree with the US doctor quoted in the piece, and suggest you stay inside and avoid exercise on days when the index is >300. If you have to go outside on these days, wear a mask. Ten years ago, I arrived in Beijing for my first trip to China. I landed at 5:40pm and could clearly see the orange haze that was covering the BJ sky. As I went from the airport to my hotel by taxi, I was overwhelmed by the toxicity in the air. My eyes were burning and I was so offended by the smell of the air. Five years later, I traveled to Taiyuan for a business trip and thought I was going to die. The air there is among the worst in the world. Not only can you see the air, you can smell all the various chemicals and iron ore deposits floating around you. I could never imagine living there for any length of time and pity those who do. The Chinese people tolerate a tremendous amount of inhumane and dangerous conditions but really can’t do anything about them due to their lack of money and family ties that keep them in their hometowns. I have always said that China will not collapse by any outside force – war, political action, natural disaster, etc. – but by self-implosion. The Chinese have destroyed their country more in the last 50 years than they have in the past 5,000. They won’t be able to continue at this pace for another 50 years without some serious consequences to their land, people and air. Something needs to be done about it now. Wake up PRC! Hey now, the air in Beijing has actually improved a lot. I also first went there ten years ago, and the next morning I was spitting black crap in the sink and cleaning black particles out of my nostrils. Now it usually takes me a whole tens days to get sick. But there are foreigners working in Chian’s media too. Richard Burger is an editor with Global Times and even has his own blog “Peking Duck” in which he tries hard to show he’s not working for the communist party ministry of propaganda. But in reality he is. I’ve long since learned not to bother even reading the papers here, unless I want either a good laugh or to make myself angry. As for pollution, this year (2011) has been the worst since I moved to Beijing for sure. I have the pollution app on my Android phone and I’d say the average is about 180. As an example, as I write this (Wed 19th Oct at 2pm local time) it’s 176. I’ve lived in about six other cities in my time in China, and they weren’t as bad, with the possible exception of Haerbin in winter, when the coal dust… well, oh my. Could Richard Burger and the likes of him, Americans who work for Chinese Government controlled State Media, who push out a lot of anti-US print, could they face charges of treason back in the United States? Burger is an editor of the Global Times after all. It is a far leap to assume that just because someone puts out pro-Chinese propaganda that they could be charged with treason in their home nation (in this case, the US). There is a thing called freedom of speech in the US that permits such behavior (regardless of one’s individual feelings on the subject). Perhaps a better question would be whether someone who puts out anti-China print in the US could be charged with treason in China?